We’re excited to feature Western Youth as our October Artist of the Month. 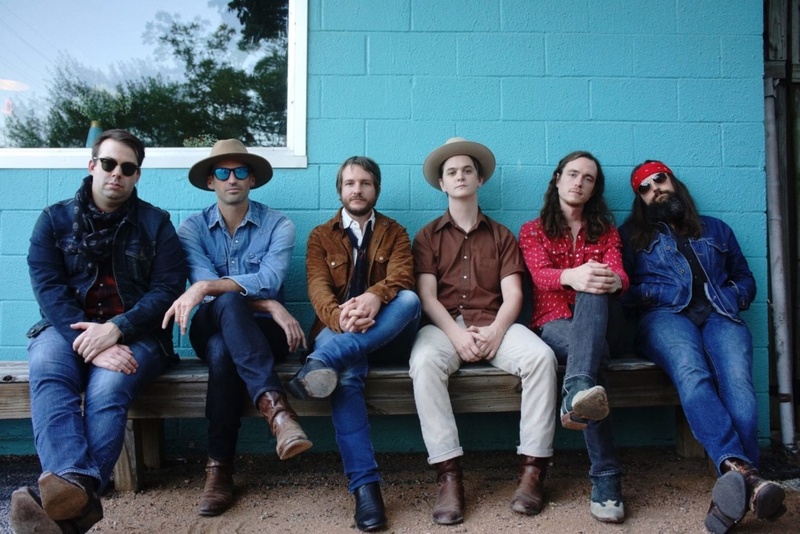 These Austin-based roots-rockers released their debut self-titled album last month to critical accolades. The release marks the sextet’s first recording in five years, and comes after the addition of new band members and profound life changes. These transitions provide the backdrop for a new collection of songs that stagger artfully between Americana, folk and honest American rock and roll. Smart, moody lyrics and sublime three/four-part harmonies meld with searing guitar riffs and intricate arrangements showcasing a defiant yet evolving band on the rise. We talked to the guys about their experiences recording the new record, and what’s next for Western Youth. First of all, congratulations on being selected as the AMF Artist of the Month! How did you guys first get involved with AMF? Brian attended an initial [consultation]. We had heard good things from Kalu James and Jaimee Harris. We are honored to be a part of AMF and grateful for the opportunity. Tell me a little about yourselves, how did you guys meet one another and eventually become Western Youth? Taylor and Matt met in 2012 and started writing songs together. Brian joined through a Craigslist ad around this time and brought in a bass player from his previous band (James Hart). We quickly went into the studio to record the EP “Leaving The Station” (2013). The EP was recorded with Britton Beisenherz at Ramble Creek Studios. Over the next couple of years the band went through a few lineup changes, life changes, and played a ton of shows all over Texas. It was around 2016 where the lineup solidified with Sam on keys and Sean on bass. We began work on our first full length album – again with Britton Beisenherz as engineer. It was around this time the band was asked by Graham to record an EP with him, Western Youth acting as the studio band. The thought was we’d do a split EP – two of Grahams songs and two of Western Youth’s. In a weekend the group finished four songs and we all thought the chemistry was just too good to ignore. So, we asked Graham to join the band and we wrapped those four songs into our full length record. You guys not only come from all over the nation but from all over the world. What brought you to Austin and how has living here influenced your artist development? All of us are here for music, which is a testament to our significant others. Luckily they all dig living in Austin : ) … Austin has always been a destination for musicians. The culture created here started well before us and we just hope that we’re doing everything possible to cultivate it even further. There’s a great Americana scene that we think is on the verge of really making some noise nationwide and we’re happy to a part of it. Did the band dynamic change as you added new members? Absolutely. You start adding more members and things change. We can write from a couple different perspectives with three songwriters. Plus, all three can sing so the listener not only gets a different narrative but also a different voice to hear. It’s refreshing. You guys were a SXSW official artist last year. How do you think that helped you grow at a band? Well we’re certainly tighter. Nine shows in seven days will do that. There isn’t much time during SXSW sets to get comfortable. You normally can create a set thinking you’ll have two or three songs to get into the groove and then hit people with the good stuff. At SXSW there is no time for that. You hit them with everything you got for about 20 minutes and then get off stage. I think it helped us cut through a lot of B.S. and tighten things up from a set preparation perspective. Tell us about the album you just dropped! Where did the inspiration come from, and what is your creative process like? This is a collection of songs that deal with a wide range of disillusionment. Seems fitting for the current state of affairs in America right now. We really dig your first single, ‘Hangin’ On.’ Where did you record it? Did you stick with one producer for the entire record? Hangin’ On was recorded with Taylor Tatsch at his studio Audio Styles just outside of Dripping Springs. The record was produced by us but we did use three different studios to get it done. 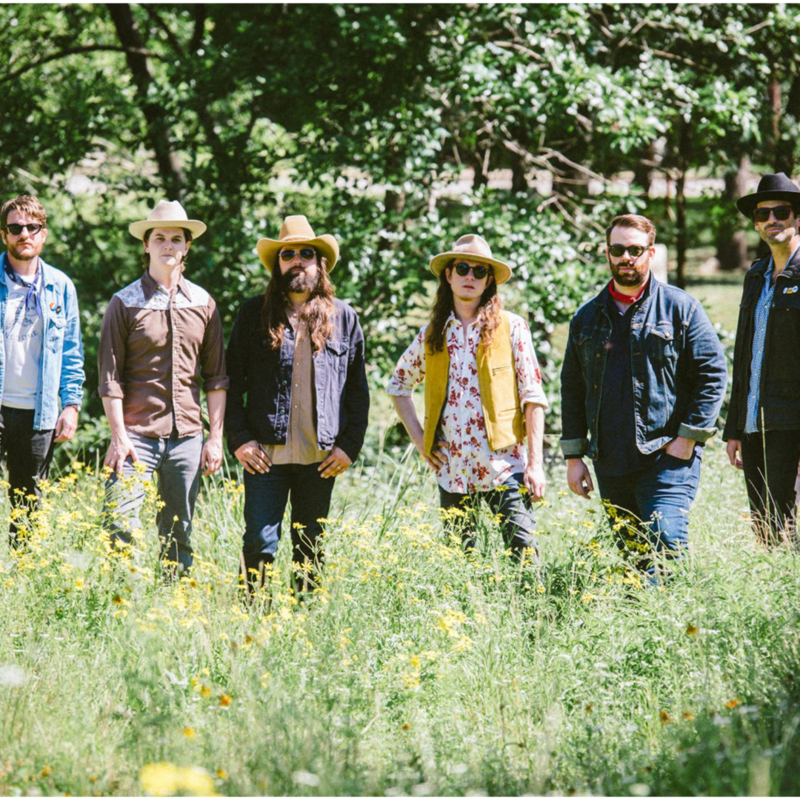 Britton Beisenherz’s Ramble Creek studio (which is where most of the record was recorded) and Israel Nash’s Plum Creek Sound was also used. Where do you guys hope to see Western Youth in five years? Obviously still together : ) … I think having a couple of more albums under our belt wouldn’t be out of the question. And we’re about to start producing records for other people which is something we’ve always wanted to do. We have some very talented people in this band so it’s a fairly seamless process for us to learn an albums worth of songs from another artist and go record them. We’ll be touring a little more – mostly regional – but I think we’ll branch out even further, Nashville, New York, L.A. will be more routine. If you could offer one piece of advice to someone just starting their music career, what would you tell them? Practice, practice, practice. Practice your live show, practice writing songs. Get in the scene, network with other musicians and songwriters. Say yes to a lot – within reason – don’t worry about failing. Lastly, how can we support y’all? What are the best outlets to follow, where can we buy the new album, and how can we keep up with your tour dates? Like and follow all the social media outlets (Facebook, Instagram, Twitter, etc). Check in with us on our website for new tour dates and our webstore for purchasing gear. The new album is available on all streaming and download platforms (iTunes, Spotify, GooglePlay). Physical copies can be picked up at Waterloo records and on our webstore.